Dr. Nimrod G. Montaño is a general dentist who is focusing his practice in Cosmetic dentistry. 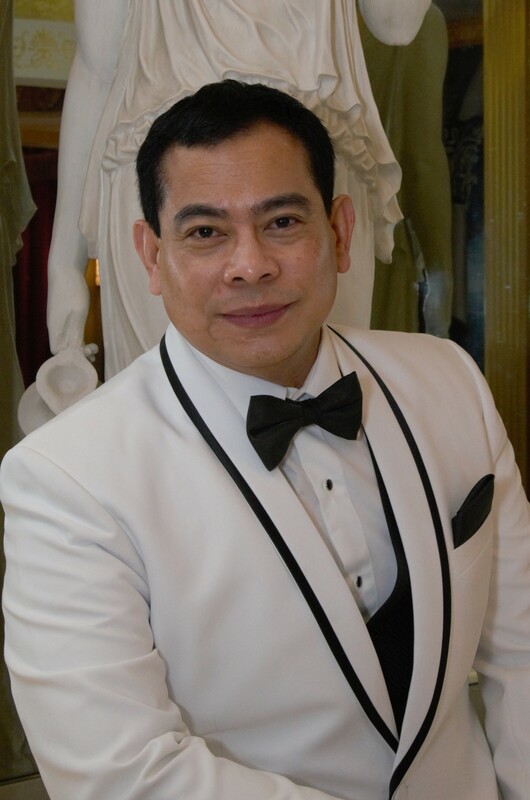 He graduated from Southwestern University, Cebu, Philippines in 1986 and established his own private practice in the Philippines for almost 8 years before migrating to Canada in 1993. He began his general practice soon after completing the National Dental Examining Board of Canada & Universities Coordinating Council in June 1996. Dr. Montaño updates his profession by attending continuing education courses, conventions and other comprehensive courses here in Canada, USA and in other parts of the world. He completed his Orthodontic Training from Institute para El Desarrollo Actualizacion de Profesionales in Mexico City under Dr. Bernardo H. "Coco" Garcia - founder and director of International Straight Wire & Orthopedic Seminars Inc. He also attends trainings from various orthodontic specialists. He is an active member of Canadian Dental Association, Alberta Dental Association & College, Edmonton District Dental Society, Philippine Dental Association, PDA-Cebu Chapter and FDI-World Dental Federation. He attends both local and international conventions. A dedicated individual on his profession, he is also concern on his less fortunate fellowmen. He is an active supporter of various organizations such as: World Vision Canada, Compassion Canada, Maranatha, Hope Mission and National Camp for the Blind. "For every new patients that comes to the clinic is a dollar donation to his sponsored children thru World Vision Canada and Compassion Canada". He organized mission trips to the Philippines to give FREE medical, optical and dental clinics. Together with his team, he visited boys and girls orphanages and distributes toys, school supplies and some foods. Dr. Rod (as commonly known by his colleague) has the pleasure of serving his community. He strongly believes the importance of quality dentistry in helping to improve the quality of life of his patients. In short, he listens, explain and care. He is widely known by his patients as the “singing dentist”. He loves humming and singing while working. This God given talent receives common comments from his patients that: “this will make them more relax during treatment”. Dr. Montaño’s greatest desire is for his gentle team and himself to provide the best dental care service and develop lifetime relationship to his patients.